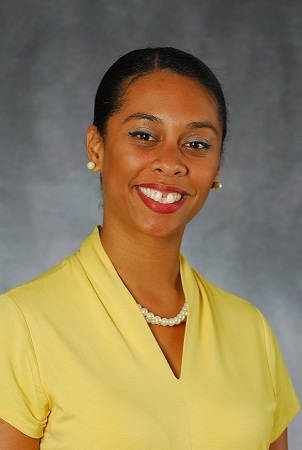 Dr. Keri Day is Assistant Professor of Theological and Social Ethics and the Director of the Black Church Studies Program at Brite Divinity School, Texas Christian University. She has her B.S. in Political Science with a minor in Economics. She earned an M.A. in Religion and Ethics from Yale University and her Ph.D. in Religion from Vanderbilt University. She is a theological educator, researcher and writer who focuses on the ways in which race, class, gender, and sexuality relate to American poverty. She looks at how faith communities can respond to socio-economic issues. Her work has been published in a number of journals including The Princeton Theological Review, Black Theology: An International Journal, and The Journal for the Society of Christian Ethics. Her first book, Unfinished Business: Black Women, The Black Church, and the Struggle to Thrive in America, was published by Orbis Books in 2012. She is presently working on a second book tentatively entitled, Dreaming Dangerously: Global Feminist Approaches to Moral Economy. Along with her scholarship, Dr. Day engages with public policy leaders. In 2011, she was the keynote speaker at the Mayor’s Prayer Breakfast in Springfield, Illinois, highlighting the importance of interfaith dialogue within local communities. She was in a 2012 delegation that participated in the White House Religious Scholars Briefing in Washington D.C. to discuss issues related to economic policy, religious freedom, faith-based initiatives, human rights, and peace building around the world. She has also been a commentator on KERA, NPR, and DFW/FOX News on issues related to faith and politics. AAR/SBL Tips for Feminists and Others Happy 90th Birthday, Joyce Ride!